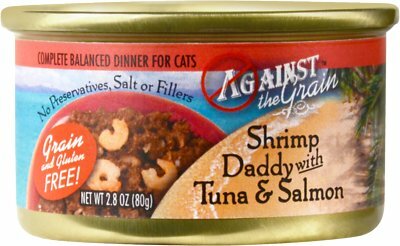 Your furry feline is a unique individual with his own personality, and he deserves to eat a one-of-a-kind meal like Against the Grain Shrimp Daddy with Tuna & Salmon Dinner Grain-Free Canned Cat Food. Featuring hand-packed tuna as the very first ingredient, along with real shrimp and salmon, this special food is totally different! It’s fortified with vitamins, minerals and nutrients to provide complete and balanced nutrition, and it’s also grain-free and gluten-free, so it’s easy on his digestion and ideal for the cat with allergies or food sensitivities. 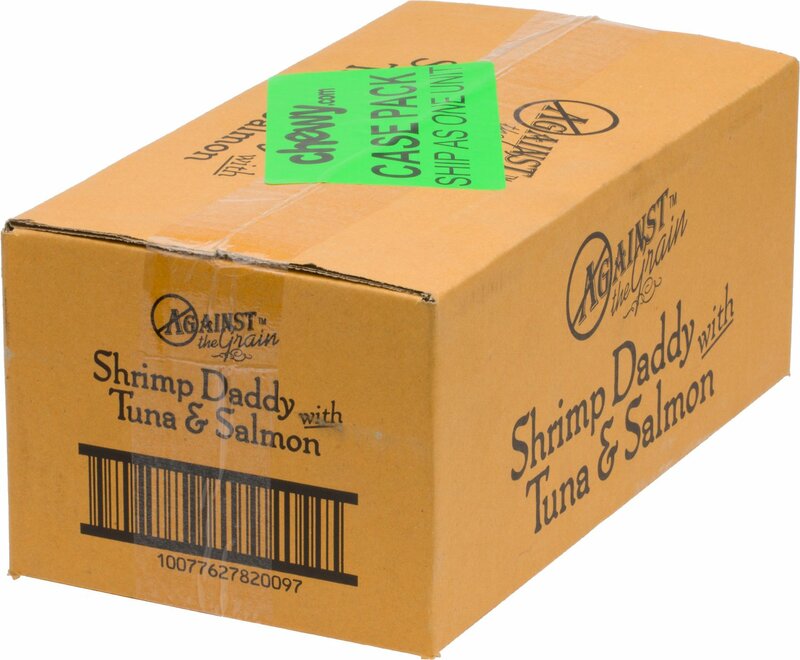 Hand-selected, hand-packed tuna is the very first ingredient in this delectable food, along with real shrimp and salmon. An average 8 - 10 lb cat will eat about 3 cans daily. Adjust as needed for your cat's age and activity. Refrigerate unused portion up to 36 hours. Provide plenty of fresh water. My cats love this stuff, but watch for bones! My cats usually eat every bite of this wet food for breakfast, but this morning when I was spreading the food out on a plate, I found a pin bone sticking up out of the mass on the plate. I'm glad I found it before my cats did! I guess this is a side-effect of buying minimally processed food like this, but my kitties love it and so I don't mind taking the extra minute or so to pick through it to check for bones. cats went crazy for this item. will be ordering it regularly from now on. 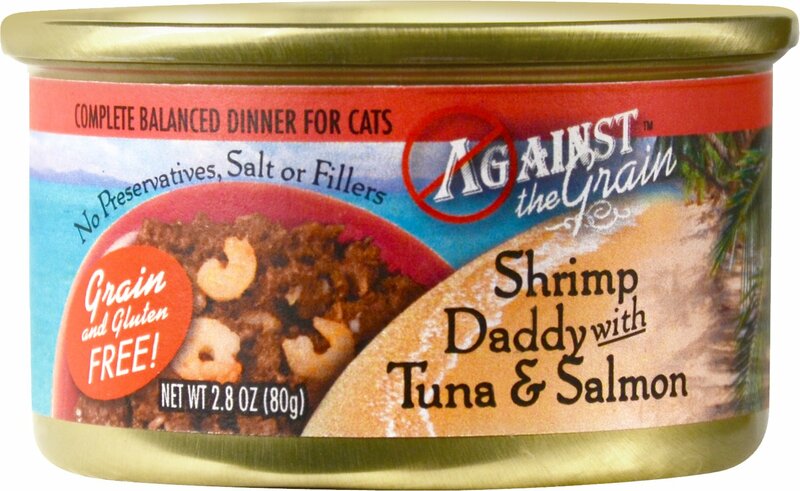 I fed this brand to my two cats a few years ago, and saw it on sale here on Chewy. They loved it back then, so I figured I'd get a case to "try again" and see if they still liked it. It's got a great texture (not too dry, but not soupy either) and great ingredients, and is still a hit even though they haven't had it for a few years! Fusing 3 flavors together was a good idea !! The kitties look forward to this one, they watch what i am taking off the shelve !! Cats liked alright but not wild crazy about. But ate it, not right up but finished it later. The ingredient panel should read TUNA BY PRODUCTS. So disappointed. I read the ingredient panel thinking I was buying cat food that has tuna in it. What's actually in the can is tuna BY PRODUCTS. This food is low..low quality. I highly suggest Soulistic or Fussy. They are true to what they say is in the can. I wish the FDA would get more involved is what companies are actually putting in these cans of food. 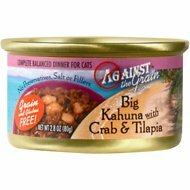 All of my cats love this food. They love the shrimp flavor & mackerel.